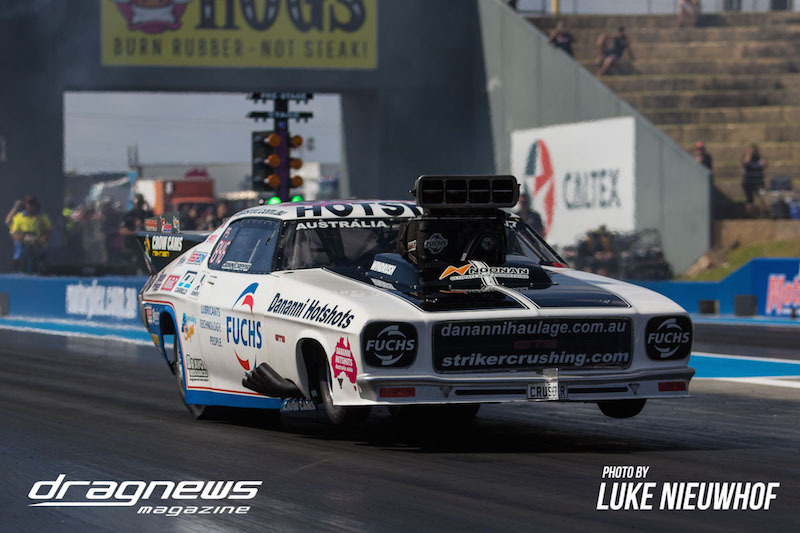 John Zappia’s preparation for the next round of the 400 Thunder Pro Slammer Series at the MacTrack Westernationals has begun with a runner up at Perth Motorplex’s Nitro Night. 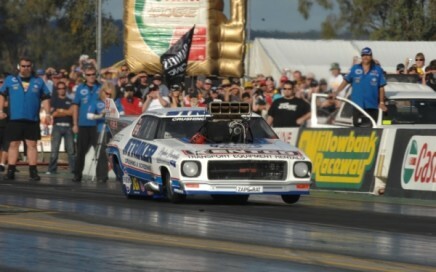 Zappia entered Nitro Night to test some ideas in the Fuchs/Dananni Hotshots Monaro and bed in new Hoosier tyres. 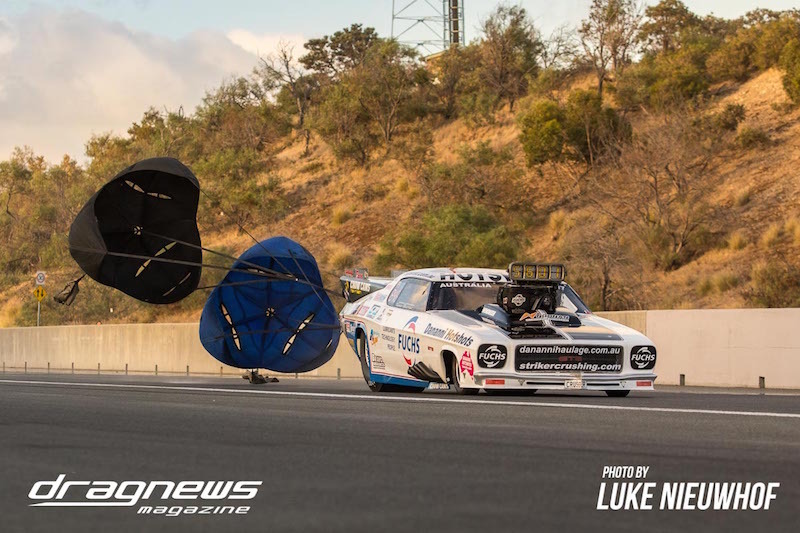 “The first pass saw some driver error where I did a first gear burnout instead of a third gear burnout on new tyres that needed a good scrubbing,” he said. 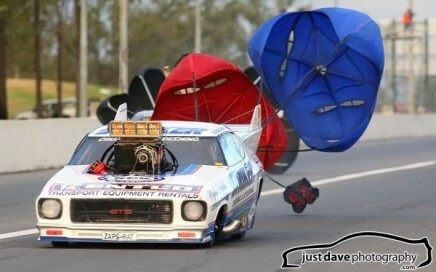 “It still launched well, one of the best of the day actually, but then I missed the shift button to second gear. 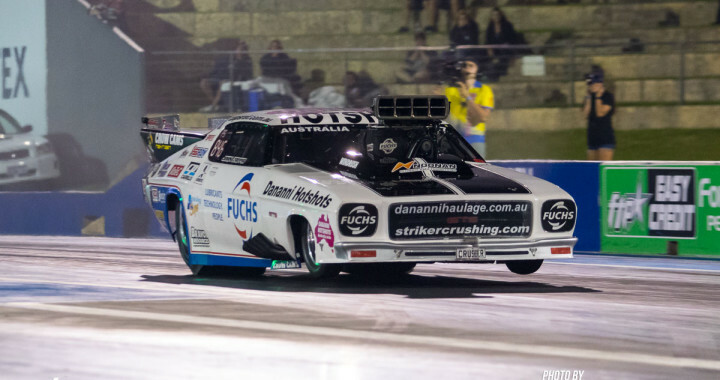 “I came out for the compulsory qualifier and it left well for a 5.77, though I used up a bit of the lane when it went left and got out of the groove. 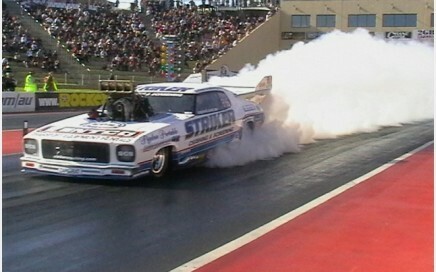 That final round would see Zappia take on the Dananni Hotshots Ford Falcon of Ryan Moresby, which earlier ran its first five second pass. “We had another set of new tyres which I thought could work, but they could also cost us the race. It launched good but went to the right and at the edge of the groove it rattled, front wheels in the air, I was steering and nothing was happening. 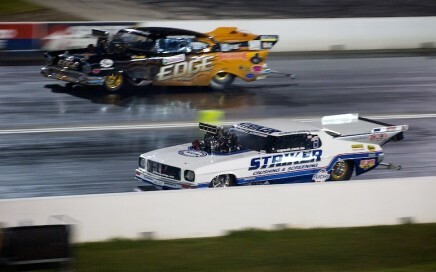 Nine times out of ten it puts the front wheels down but this time it kept the front wheels in the air. I could have pedalled it to try and drop the front but it was a case of could’ve, would’ve, should’ve. The MacTrack Westernationals is next on the agenda for Zappia, who will be aiming to take back the 400 Thunder Pro Slammer points lead. Typically a hot and humid event that does not lend itself to record setting runs, Zappia believes a set up that could find consistent 5.7s with the occasional 5.6 would be in a good position to take the win. 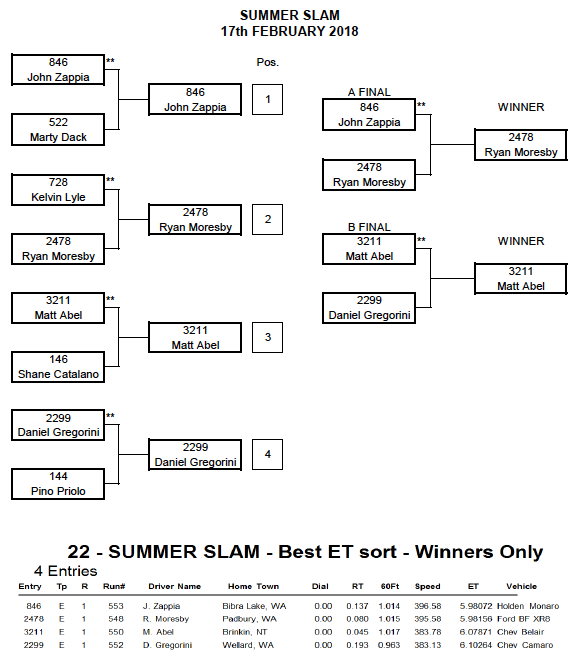 A classy field of 17 cars has entered so far including Paul Mouhayet and the USA’s Frankie Taylor making their first appearances in Pro Slammer at Perth Motorplex. 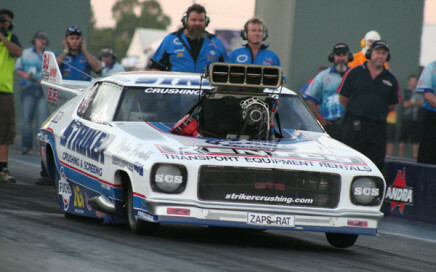 Zappia said in drag racing predictions can go out the window, because anything can happen and it often does. “I need to make sure everything is 100% right for this meeting and do my best to try and have a consistent race car,” he said. 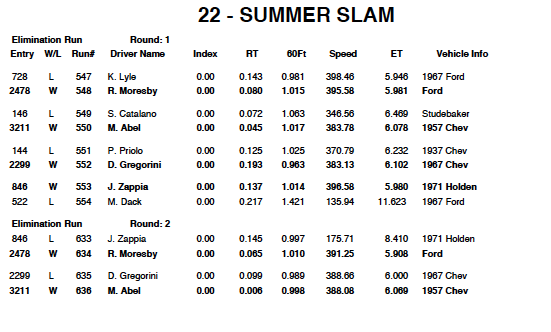 “The entire field is tough, and most of the cars entered are five second runners, so we could see a low 5.9 second bump spot..
Three fives, and Zappia extends Championship lead.